We were curious about Curious Palette, literally. No Facebook page initially, no signboard, no information on the food offered anywhere online. Taking over the space where Play Nation at Prinsept Street was, we were also curious about the stark resemblance to Strangers’ Reunion. 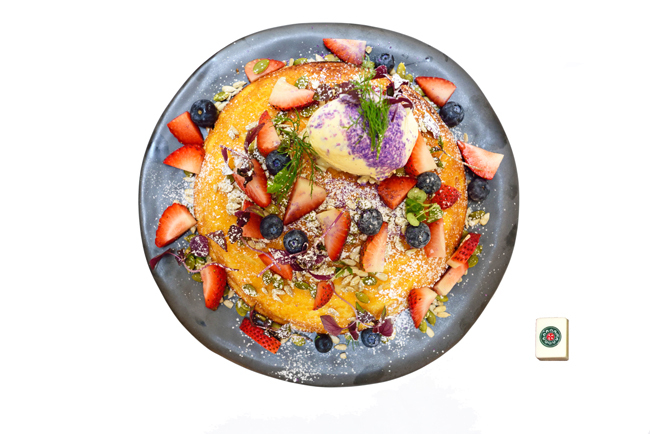 The same Buttermilk Waffle with various toppings options, Magic Coffee (a magical ratio of double shot ristretto to milk) and the uber-chio Berry Ricotta Hotcakes. 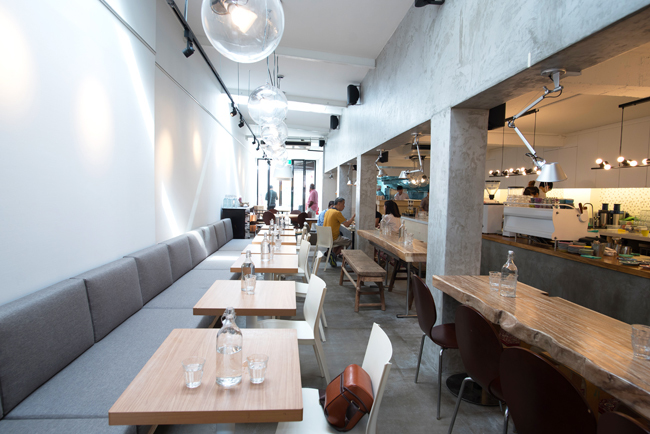 The entire place is brightly-lit with natural lighting from the ceiling, painted with Kinfolk’s color tone of white, grey and brown and a menu of chio (ie gorgeous) and colourful Instagram-worthy food. This place is an Food Instagrammers’ paradise. Menu selection includes All Day Breakfast such as the Curious Breakfast ($23.50), 24hr Beef Cheek Stew ($22.90) and Soft Shell Crab Burger ($22.50). 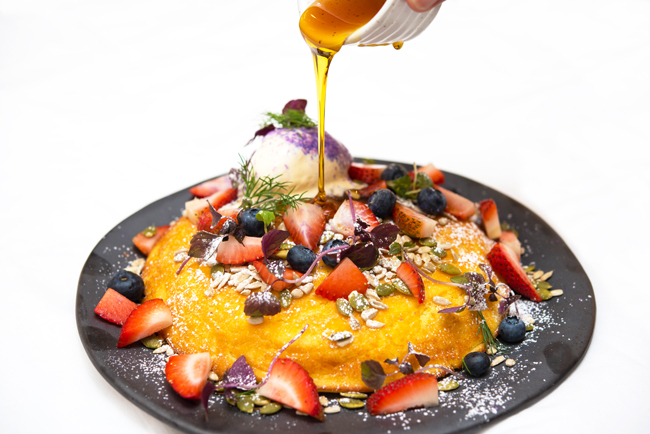 Desserts include Buttermilk Waffles ($11.90 – $14.90), Chocolate Panna Cotta ($16.90) and Berry Ricotta Hotcake ($18.90), all beautifully plated. 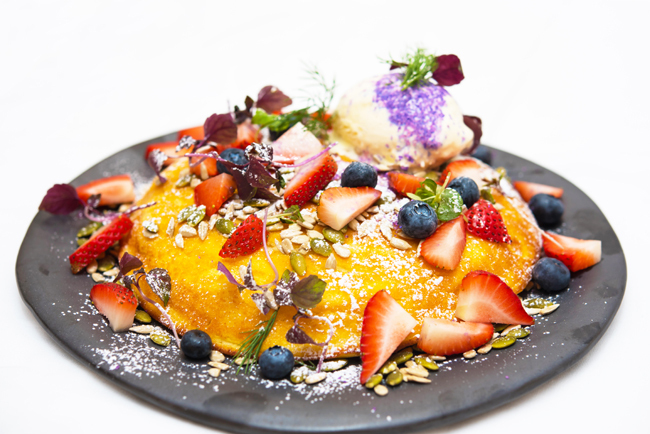 The Berry Ricotta Hotcake ($18.90) looked like a huge potted plant with strawberries, blueberries, pumpkin seeds, sunflower seeds and a scoop of vanilla bean ice cream. “Pong ah”, I felt that it actually looked more like “yi tong” aka one circle in mahjong. See the resemblance? Similar to the one we had at Paddy HIlls, it was crispy on the outside and fluffy on the inside. Good for sharing as the portion can be pretty huge with all the carbs. 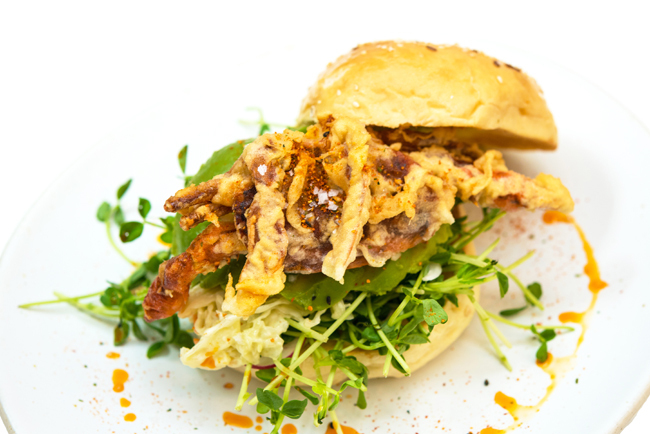 We loved the Soft Shell Crab Burger ($22.50) that came with wasabi slaw, homemade aioli, avocado and petit salad. The fillings were pretty generous and the soft shell crab was crispy and crunchy. The crab was fresh and didn’t taste like crap. The Magic ($5.50), as its names implied, came in coffee cups of various colours. Red, yellow, green, blue, violet, so colourful, so magical. 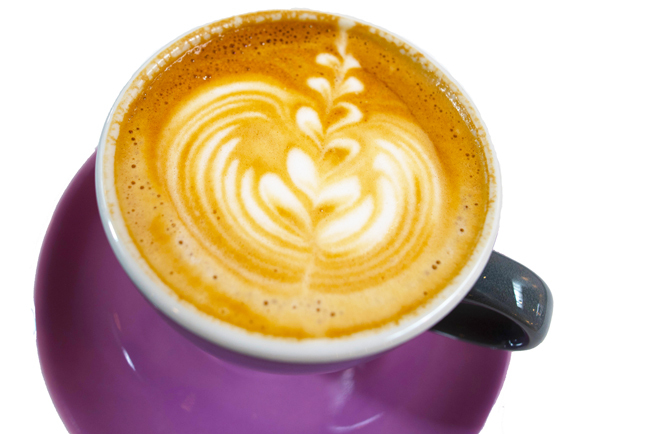 Using Chakra Blend (Brazilian, Ethiopian, Guatemala beans) from Strangers’ Reunion, it’s smooth and rich. Curious Palette is off to a good start with a cosy place and an extensive menu well experimented at Strangers’ Reunion. 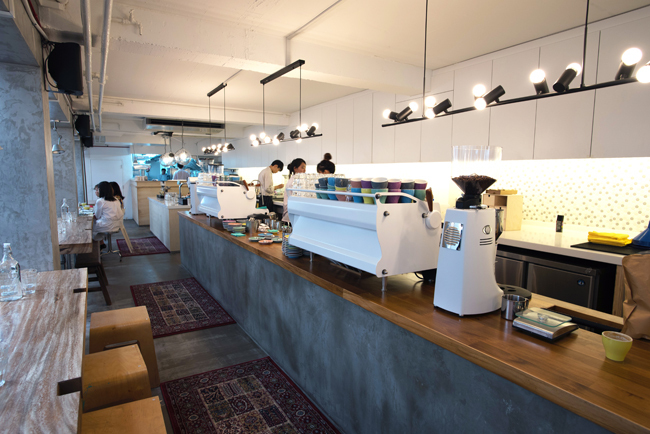 The challenge now is to differentiate among itself and offer something different and unique since there is not much point in having 2 cafes offering almost identical menu. 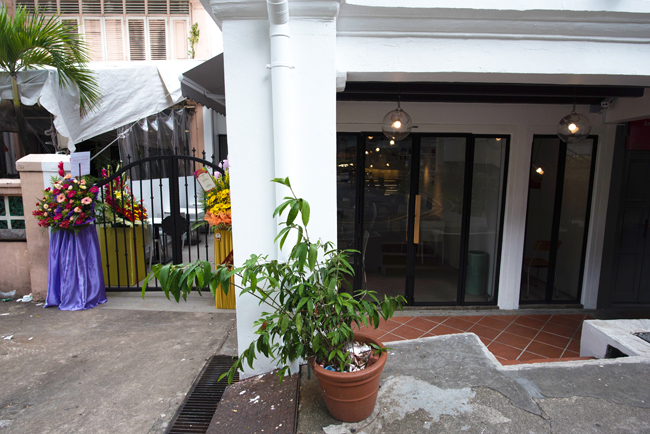 * Written by Daniel’s Food Diary Cafe Correspondent Nicholas Tan @stormscape. Daniel’s Food Diary pays for food reviewed unless otherwise stated. the opening hours are 9am–10pm.